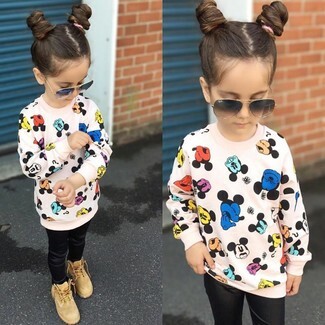 Suggest that your little girl wear a Carter's 2 pc cat sweatshirt leggings set baby girls with white shorts for a trendy and easy going look. 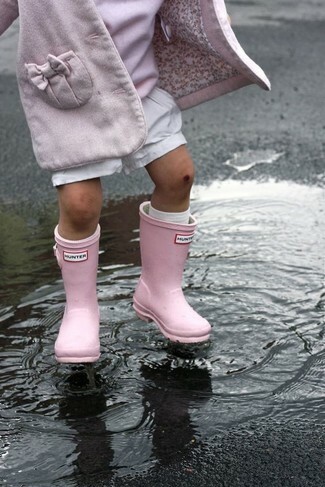 Finish off this outfit with pink rain boots. 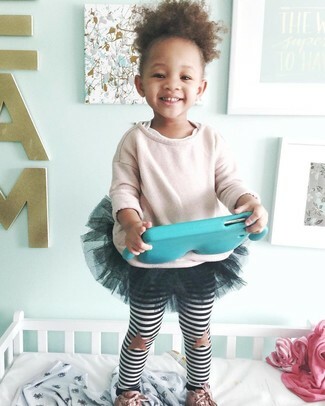 Suggest that your girl choose a pink sweater and a black tulle skirt for a glam and trendy getup. Pink sneakers are a savvy choice to complete this style. Go for a Carter's 2 pc cat sweatshirt leggings set baby girls and navy denim shorts for your girl for an easy to wear, everyday look. Tan boots are a good choice to finish off this look. Suggest that your kid choose a Carter's 2 pc cat sweatshirt leggings set baby girls and black leggings for a fun day out at the playground. This getup is complemented wonderfully with white sandals. 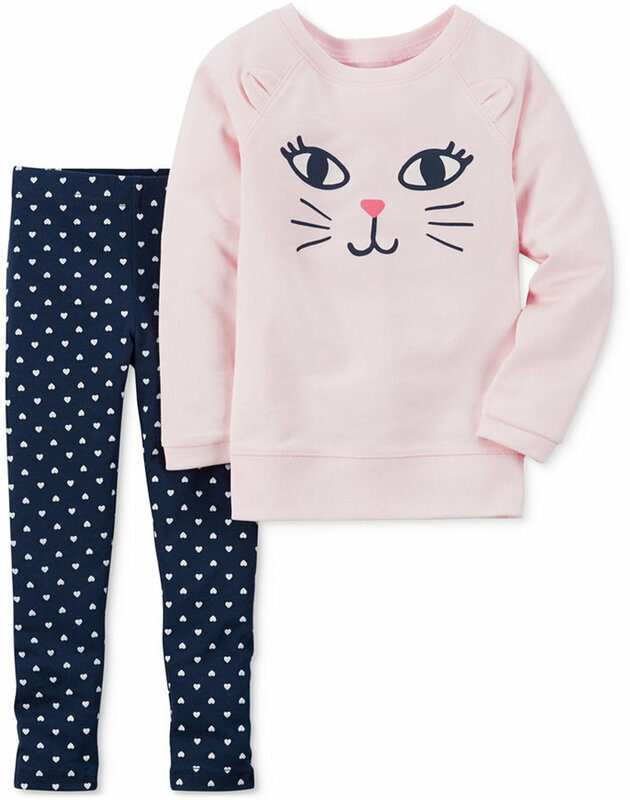 Suggest that your girl wear a Carter's 2 pc cat sweatshirt leggings set baby girls and black leggings for a laid-back yet fashion-forward outfit. Tan boots are a nice choice to complement this look. 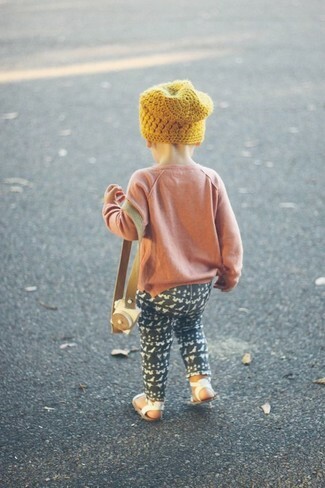 Suggest that your kid wear a pink sweater and navy jeans for a cool, fashionable look. This style is complemented nicely with white boots. This combo of a pink sweater and a navy skirt is both a comfortable and stylish choice for your little fashionista. As far as footwear is concerned, let your girl grab a pair of tan sandals.